Spring is the ideal time for a city break, to soak up some culture and discover great new boutiques and markets. So whether you choose Paris, Barcelona, Prague or London be sure to pack your fabulous accessories. The Spring in the City trend is all about the Vintage look. Mix different textures and antique talismans with oversized pendants and coloured glass. Inspired by picking up antique finds in markets around the world, Mirabelle is a beautiful brand of long-line necklaces. Fair-trade and re-cycles talismans make for a fabulous 'found' look. Alex and Ani is another fabulous brand if you like the vintage look. Layered bracelets each carry a meaning personal to you and are infused with positive energy, the perfect accessory for a weekend of culture. 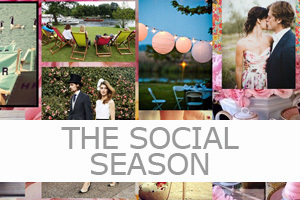 Our Spring trends for 2014 - will you rock the 'Social Season' look? Our Spring trends for 2014 - will you rock the 'Festivals and Fiestas' look? Our Spring trends for 2014 - will you rock the 'Wind-down Weekends' look?